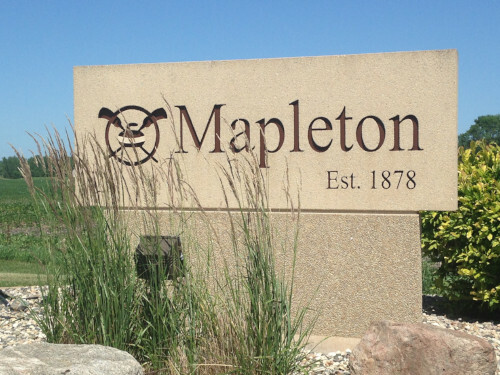 Three "Welcome to Mapleton" Kasota stone signs were placed as you enter the city limits on the State Highways.This project was a joint effort with the MAF and Mapleton Beautification committee. 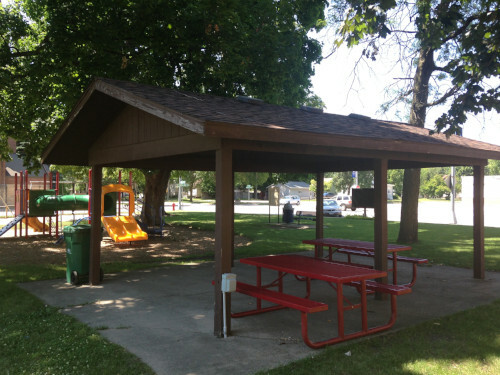 MAF along with the City of Mapleton erected a shelter in the City Library park. The shelter is used for family picnics, Library activities, Church vacation bible school and other Church functions. It also serves as a gathering place for the youth to meet and hang out. MAF along with the Mapleton Beautification committee placed 12 cement planters on the corners of the Main street intersections. Each year organizations plant and water each planter from May til October. MAF assisted the Heather Curling Club (HCC) in raising fund to upgrade the HCC. Improvements included a new steel roof, new ice plant machine and an Aluma Zorb ceiling inside the arena. MAF assisted the City of Mapleton in securing a Community Foundation grant. Equipment will arrive in July. MAF, along with Sertoma, Serteen and City workers will erect the equipment once it arrives. MAF is in the process of designing and raising funds to erect five monuments (one for each branch of the service). Five monuments will be erected in Highway 22 Veterans Park which is located on the north edge of Mapleton. The other five monuments will be erected on the south edge of Mankato. These monuments will create a north and south gateway to the NEW Highway 22 Veterans Memorial Drive.The goal is to have the monuments erected by Memorial Day 2018. This project is just getting started. The Heather Curling Club (HCC) is in need of new ice mats in their arena. MAF will assist the HCC in raising funds and serve as a vehicle for organization and individuals to donate.